NEW! 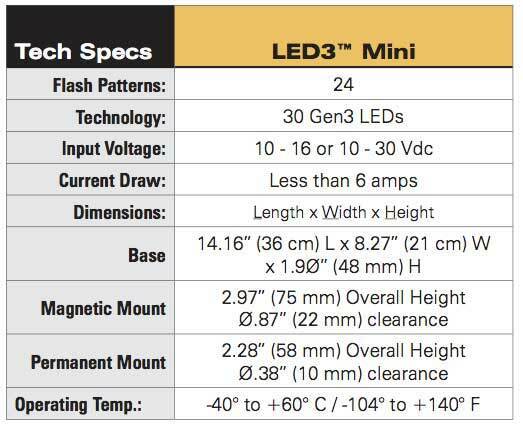 LED3 Mini Lightbar is built with ten LED3 Mini Light Modules. The modules are placed around the inside perimeter of the housing providing 360 degrees of bright LED output. 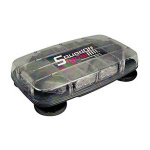 Clear outer housing is made with a durable polycarbonate with a UV inhibitor to prevent yellowing of the lens. Injection molded black polycarbonate and ABS base is strong and long-lasting and the wire exit can be moved to exit left or right depending on your needs. Magnetic or Permanent mounting options available. the LED Mini Lightbar has a 5 Year No Hassle Warranty and is rated SAE Class 1 and is CA Title 13 compliant.